North Grenville, ON – With the legalization of cannabis in October, the Smoke Free Ontario Act was changed to include new regulations regarding vaping and cannabis, in addition to tobacco. The new regulations touch on multiple public spaces including Municipally-owned sporting and recreational facilities such as playgrounds, sports fields and the Municipal Centre. Under the new regulations, smoking (tobacco or cannabis) and vaping are not permitted on the outdoor grounds of a community recreational facility and any public areas within 20 metres of its grounds. 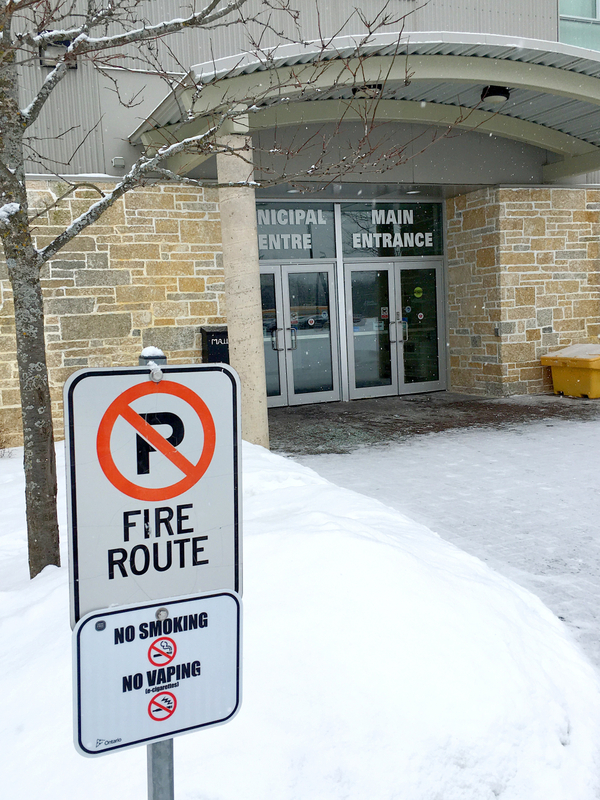 To be compliant with this Provincial statute, smoking and vaping is not permitted at the North Grenville Municipal Centre or within 20 metres of the property line. 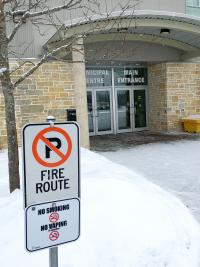 This means that smoking is no longer permitted in the parking lot of the Municipal Centre. In addition, smoking or vaping is not permitted on children’s playgrounds or publicly owned sporting areas or within 20 metres of its grounds (i.e. parking areas). Municipal staff will be bringing forward an update to the Municipal smoking by-law that will ensure North Grenville’s regulations comply with Provincial legislation. However, as of October 2018, Provincially-appointed inspectors are ensuring compliance with the Smoke Free Ontario Act and may enforce any provincial offence. Municipal By-Law Enforcement staff will also be patrolling recreational facilities to inform users of the change and issue warnings of potential fines. For additional information on where smoking is banned, please visit www.ontario.ca/page/where-you-cant-smoke-or-vape-ontario.